How do I setup my Echo notifications? 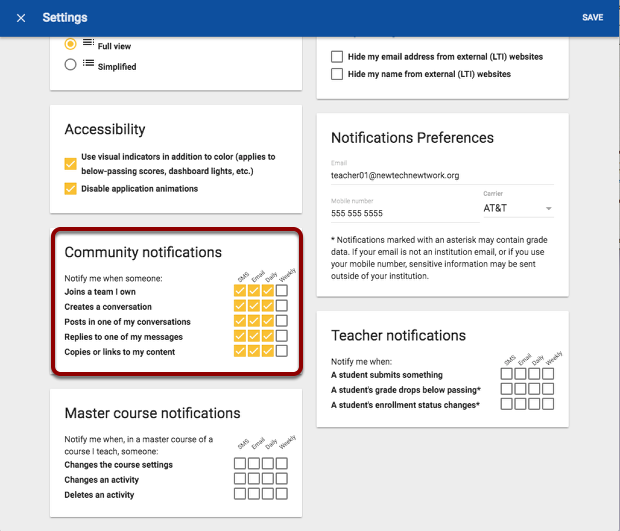 Notifications in Echo allow the user to stay connected to their students or members of the Echo community by being alerted via email or text. 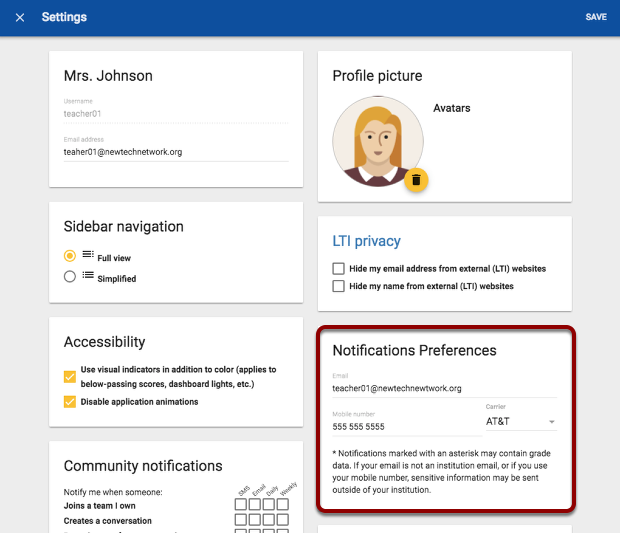 There are 3 Echo notification settings that can be set up. Where are Echo notifications located? 1. 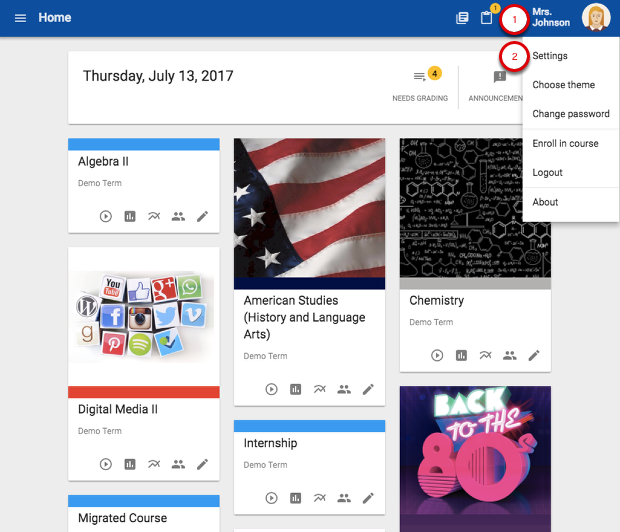 From the homepage click the profile icon from the top toolbar. 2. 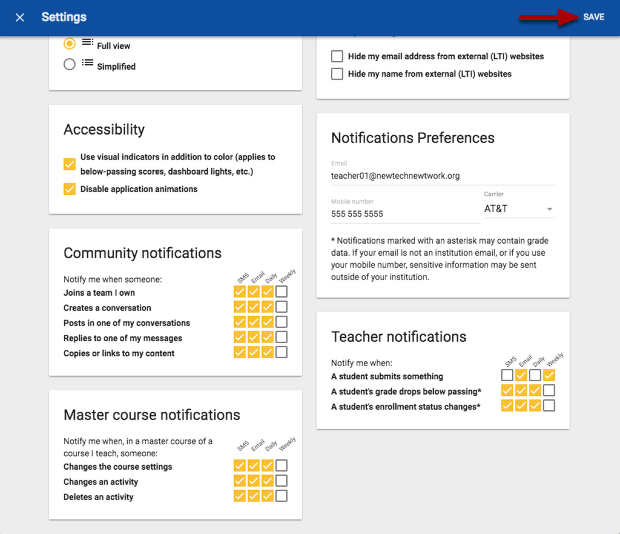 Select "Settings" from the drop down menu. 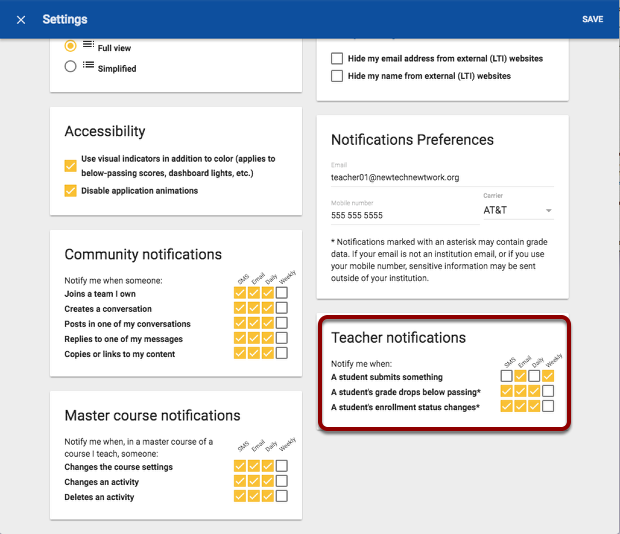 Before setting up notifications, add an email and/or phone number for notifications to be sent to. 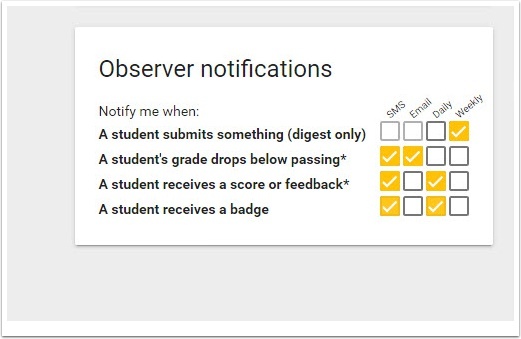 Choose either daily or weekly depending on how often notifications are wanted. 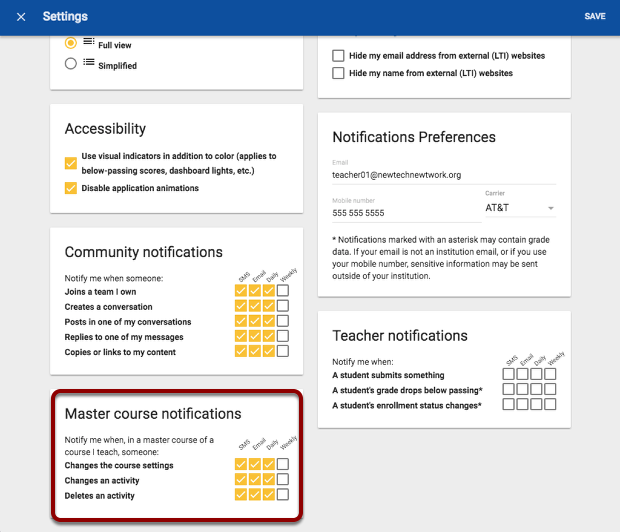 SMS is a text sent to the phone number given in "Notification Preferences"
Now that notifications are set up for the community, master courses and teacher, select "Save"
Note: Notification settings can be changed at anytime.